STEAMBOAT SPRINGS — Turning 70 just meant moving up an age division in Ironman racing for Steamboat Springs’ Allan Rosen. 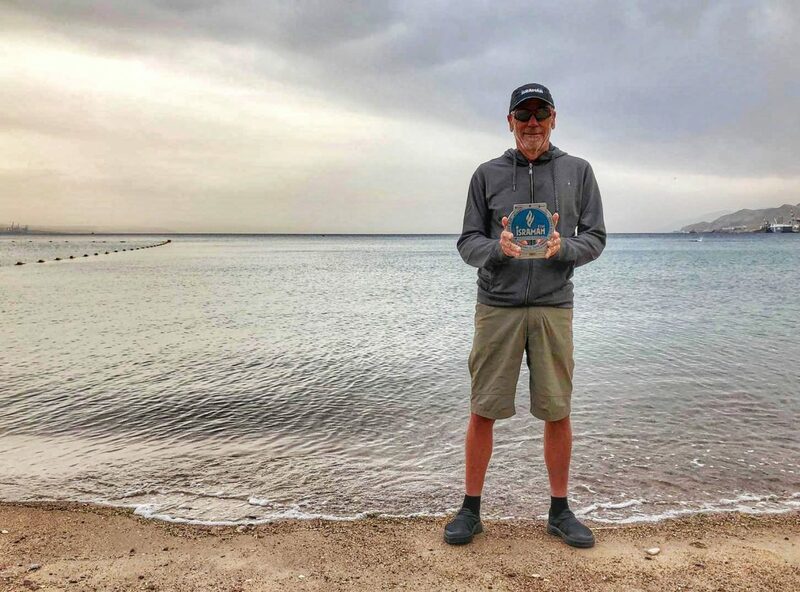 On Jan. 25, Rosen participated in the Israman in Eilat, Israel, a half-ironman composed of a 1.9-kilometer swim, 90-kilometer bike and 21.1-kilometer run, placing third in his age group and making him the only U.S. competitor to place in the half or full Ironman. Rosen worked with trainer Justin Granger, who lives in Australia, to lay out the training plan, but training is tough to do in Steamboat during the winter. Rosen spent most of his training indoors on a trainer bike and treadmill. But training at altitude still proved to give Rosen the edge in the competition. He emerged from the Red Sea’s open water swim as the race’s leader by a 30-minute margin. Although at sea level, biking and running in the mountains was difficult and almost hypnotizing. Rosen said he felt like every climb he would reach the top, only to find the road continuing upwards around the corner. The stark contrast in temperature was another challenge he wasn’t used to. The morning was cold and windy, but the afternoon turned into a scorching hot desert day. Rosen got his start in triathlons while living in California working in the film and music industry. He tried his first triathlon after college, borrowing his friend’s bike and training for only a month to take on an Olympic distance. The former collegiate water polo player was hooked, and he continued to do triathlons all over the state of California. He earned an Ironman World Championship in Kona, Hawaii, in 1982. “I was big into it in the ’80s, and that was before people wore wetsuits,” Rosen said. Now, an Ironman is common for endurance athletes, Rosen said. Triathlons have been a purposeful pastime he’s been able to enjoy since he retired in 2012, but he thinks they may have even helped to save his life. Rosen is a two-time cancer survivor. His first tumor appeared on his urethra in February of 1983, and the second tumor came 11 years later. It’s mind over matter out on the course, and Rosen’s mental game is stronger because he knows it could always be worse. He’s had three meniscus tears in his knee and a near-death experience due to complications from a hernia operation since surviving cancer. But living in Steamboat and walking in the footsteps of Olympic athletes keeps Rosen motivated to persevere and continue racing. In July, he plans to compete in the Challenge Roth, a full Ironman in Germany. To reach Leah Vann, call 970-871-4253, email [email protected] or follow her on Twitter @LVann_Sports.